This is the first of a new series on Making Notes that will shine a spotlight on projects in which Dorico has played a part. If you have used Dorico for something interesting and would like to be featured in this series, please let me know. Lev “Ljova” Zhurbin is a violist and composer of some renown. Having been born and spent his formative years in his native Moscow, he moved with his parents to the United States in 1990 at the age of 11. 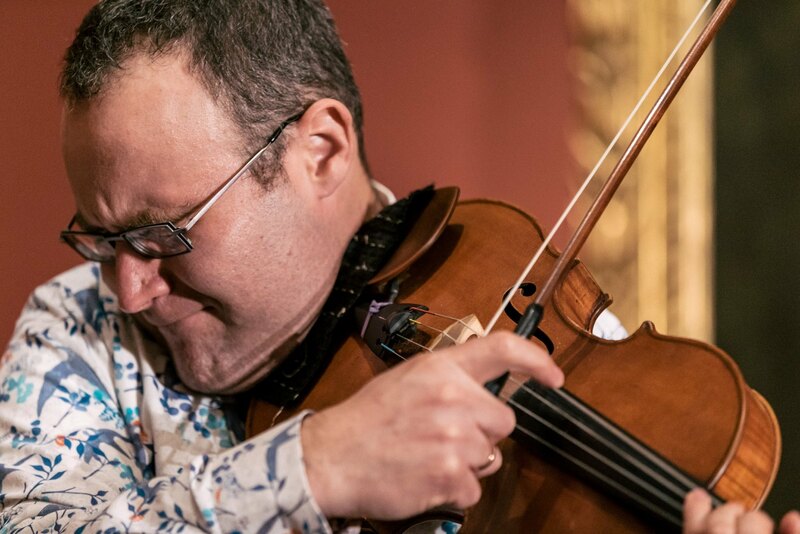 The apple didn’t fall far from the tree – his father is the prominent composer for Russian film and musical theatre, Alexander Zhurbin, and his mother is poet, writer and journalist Irena Ginzberg – and he started his studies on the violin at the age of four. Showing great promise through his childhood, he graduated from The Juilliard School of Music in New York, and has since forged a very successful career as both composer and performer, with dozens of works for the concert hall, the stage, and the screen. Ljova’s latest composition, his Clarinet Quintet, was premiered in San DIego, California last week, and it was his first work completed in Dorico. I caught up with Ljova to find out more about the work, and about his experience of putting it together in Dorico. 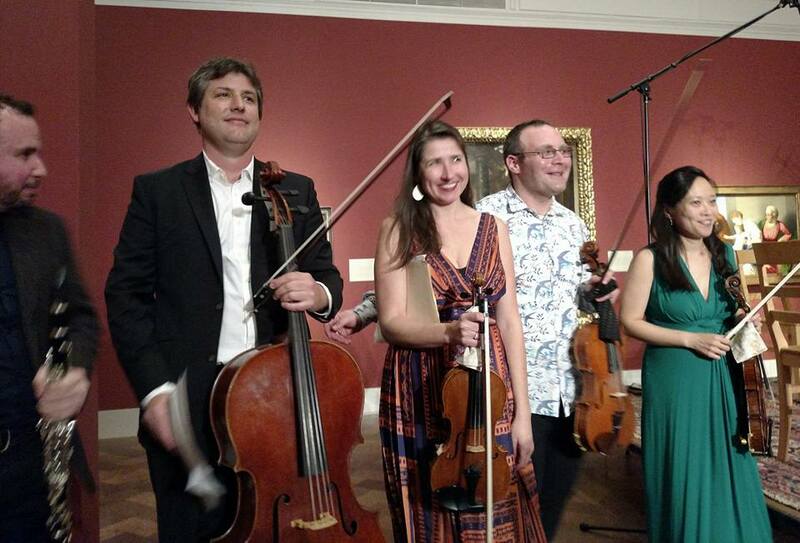 DS: Your clarinet quintet was premiered last week in San Diego. How did this commission come about? LZ: The Clarinet Quintet was my second commission for the San Diego-based chamber music collective Art of Élan, preceded by the Songs of Bert Meyers, a vocal cycle written for my wife Inna Barmash to sing with a 10-piece ensemble. But Art of Élan has been performing my music – The Vjola Suite especially – throughout all of its ten seasons, not only in concerts but in outreach as well. For this second commission, the instrumentation was left up to me: I was rather insistent on writing a clarinet quintet, having of course loved the Brahms and Osvaldo Golijov’s The Dreams and Prayers of Isaac The Blind. We were lucky that Joshua Rubin, New York-based clarinetist and co-director of the International Contemporary Ensemble, was touring in California during the week prior to our premiere. DS: Was the piece well-received in its premiere? LZ: Yes, I’d say so! I heard wonderful things from the musicians and audience alike. The first page of Ljova’s Clarinet Quintet score, courtesy of the composer. DS: I believe this was the first piece you had written from scratch in Dorico. How did you find working in the new software? LZ: I love it! I’ve been working in Sibelius since version 1 and while it’s been a real blessing on hundreds of projects over the last 15-plus years, I have not seen any major features or revisions since the dissolution of the London office. With the introduction of subscription pricing in version 8 and lack of new features, it irks me as strange having to lease a program I already own – I remain on version 7.5. Fed up with lack of progress in Sibelius, I decided to try out Notion, a somewhat slimmer notation program from PreSonus, which, however, has a very handy and impressively comprehensive iPad app. On the creative side, my work has grown increasingly shifted towards the more aleatoric. Here for example is an excerpt of a piece I wrote on commission from the City of London Sinfonia, Elegy. There is no common meter – but there are general cues. As good as Sibelius is, support for music without time signatures is not native. Also, the features for film scoring have not been updated in a long time – and while, again, Sibelius is really wonderful at lots of things, it hasn’t made any progress. Dorico, on the other hand, has support for aleatoric music from the first note, from the very first version. 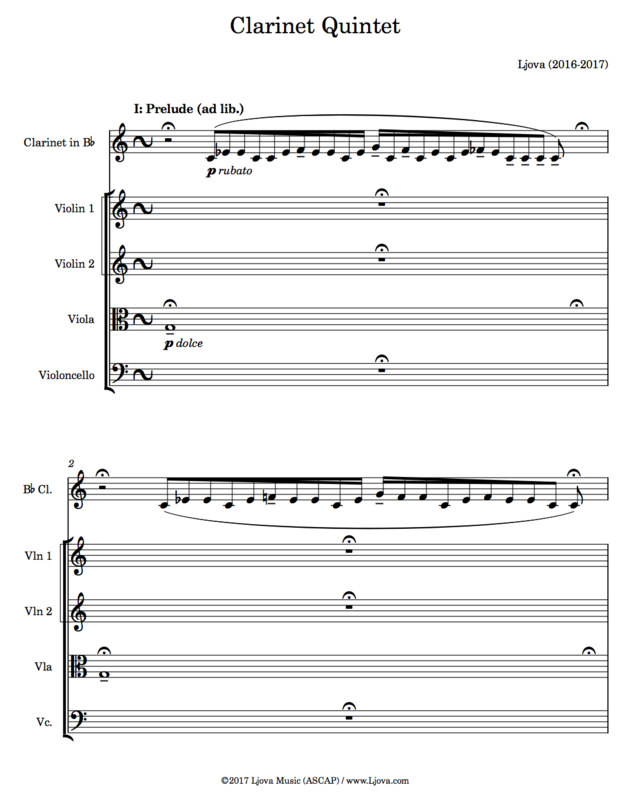 The first section of my Clarinet Quintet is without meter; later on, there are once again open sections where musicians trade gestures without a set pulse. The Bravura font is beautiful, the default page layouts are gorgeous, the program is stable, and best of all – it’s growing. And even better than everything I’ve mentioned so far – sorry to out you here, Daniel – Dorico has the best tech support in the world. From my earliest days working in Sibelius to my latest days in Dorico, I have witnessed the relentless dedication of Daniel Spreadbury, who has stayed up into the wee hours of the morning answering questions on the forums, emails, putting out fires, carefully and patiently dealing with every composer’s and arranger’s specific notation issue. Daniel has saved my projects on more than one occasion, for which I’m eternally grateful. DS: It’s the least I can do to support the work of the many musicians I admire. But thank you! Did the performers notice anything different about the music when you put it on their stands at the first rehearsal? LZ: Nobody mentioned a thing. I didn’t tweak the default margins or font sizes, they look wonderful. These days, when I see parts printed in Dorico they look “just right” to me. Art of Élan receive applause at the conclusion of the premiere (photo courtesy of William Zauscher). DS: Was there anything you particularly liked or disliked about making the score in Dorico? As much as I love Dorico, there is of course a bit of room for improvement. Wings on repeat barlines would be welcome, as would chord symbols, filters, 1st and 2nd endings, scrolling music during playback, video sync and ReWire, better samples, and of course it would be great to have an iPad version of the program before iPads become a thing of the past, so as to edit scores on the go, edit performance parts in real time. Having the ability to effortlessly write music without meter is simply magic, as is Insert mode. But there are things that are less magical, for example having to go into Engrave mode just to nudge an item, and having to switch to Write mode to delete an item – but it seems trifling to dwell on these things when they’re clearly being addressed. This is version 1.0 – lightyears ahead of where Sibelius 1 was in its day. Thank you to everyone at Steinberg and especially to Daniel Spreadbury for making this brilliant contribution to our industry. I’m supremely impressed with how far you’ve come in the first version, and look forward to seeing this program bloom, develop its own language, and steer a new generation of composers into new possibilities. DS: On behalf of the whole team at Steinberg, you’re very welcome, and we will continue to work tirelessly to improve Dorico as quickly as we can! Thanks for your time. If you’d like to hear Ljova’s Clarinet Quintet for yourself, you can hear it on SoundCloud. More information about Art of Élan can be found at their web site, and if you’d like to find out more about Ljova, check out ljova.com! Congratulations on this landmark achievement Daniel! I tried the link but SoundCloud it branches to is saying ‘Playback Error’. Other pieces on SC are playing ok, so can you take a look? @Derek: Sorry you’ve had problems playing back the SoundCloud link. Does going to the actual SoundCloud page for this piece work any better? Thanks Daniel, neither link is playing on the SoundCloud app when opened to my iPhone 7+, but trying them on my Mac Pro desktop just now, both work fine. Must be a SoundCloud issue I guess, however as I said, other tracks are playing back OK on SoundCloud app on the phone. I can email you the error screen if that would be useful. I would love to see a page of an extracted part. How did you get around the limitation of not being able to indicate cues (or did everyone play from score)? This is the sole reason I can’t yet switch to Dorico.